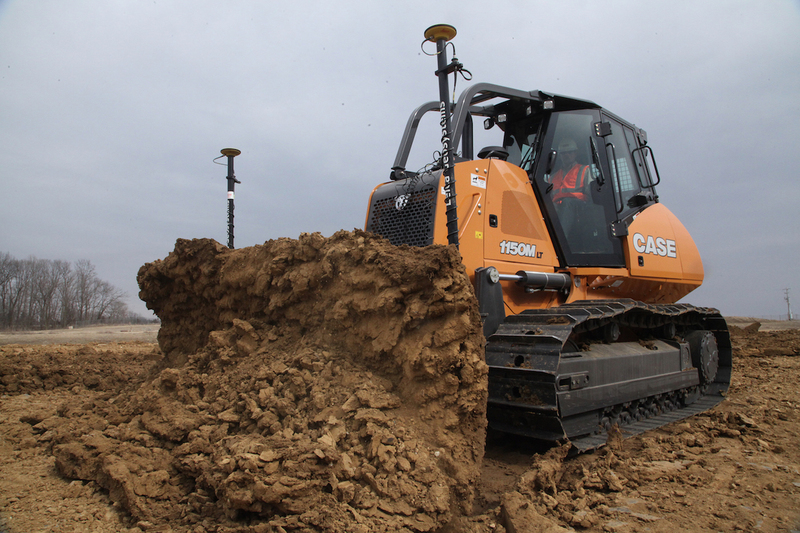 A universal machine control option is available for the Case M Series dozers that allows dealer installation of Topcon, Trimble, and Leica Geosystems products. Case universal machine control provides a universal harness for blade guidance systems, universal machine brackets and mounts, and universal jumpers to integrate any industry solution into each dozer. Dozers will be compatible with any solution during resale into its second or third operational lifespan, according to Case. The universal option also allows for retrofit of precision solutions after the purchase, without having to change mounting points or wiring harnesses on the dozer depending on the system provider of their choice. Dozer models 1150M, 1650M,and 2050M have the option available.